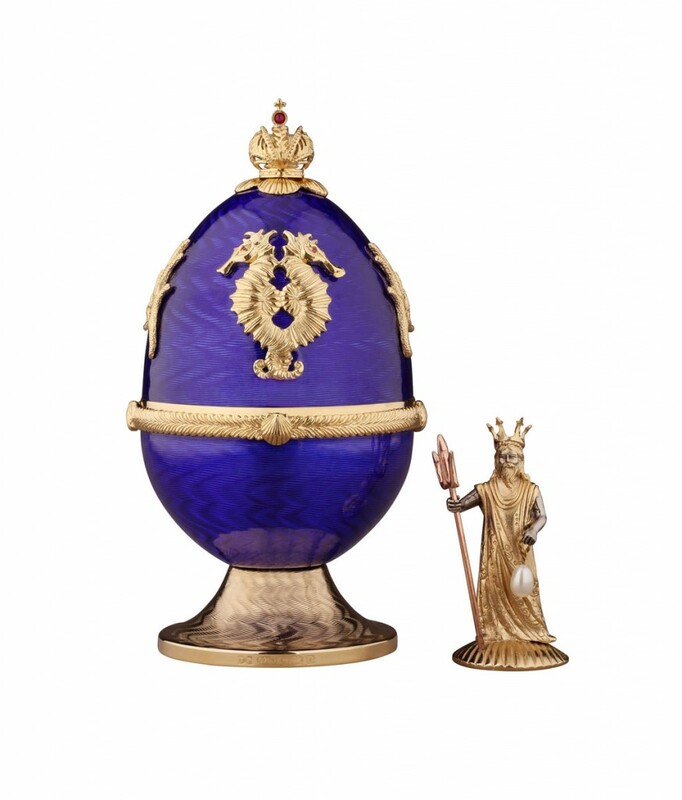 Inspired by Theo Fabergé’s Sea Fountain Egg the KING OF THE OCEANS EGG continues that theme with this beautiful Egg in sterling silver and gold and then guilloché enamelled in deep blue, reminding us of the ocean. The KING OF THE OCEANS EGG is adorned in gold and silver with two enchanting sea horses with sparkling ruby eyes swimming among the flowing sea flora. The finial, the Imperial Crown is set with a cabochon ruby, Theo Faberge’s favourite gemstone and surrounded by gold seashells. 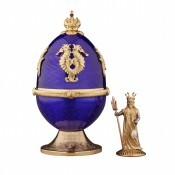 Open the Egg to reveal the surprise; Neptune, the King of the Oceans fashioned in gold and silver. Trident in one hand and roped miniature pearl in the other he stands aloft to speed ships and passengers safely on their journey. Each creation is numbered and bears Theo Fabergé’s name and hallmark. Presentation in a velvet pull-string bag with limited edition certificate. Materials: Sterling silver and gold, cabochon ruby and gold seashells.